Is the Microdistrict Dead? Long Live the Quarter! Social ideas of the 20th century, that had an impact on town-planning concepts, have lost their relevance. We have inherited huge urban territories built up in the form of microdistricts, which do not currently correspond to the idea of safe and decent life. Transition from building microdistricts to quarter site development has become the most radical change in the Russian urban policy. At the same time, there are certain problems of designing modern quarters both in the historical environment and in new territories. Unbuilt sites will likely house hybrids of microdistrict and quarter planning. In the historical centers of cities, building of quarters requires solution of transport problems, provision of pedestrian areas and creation of new architecture of high quality, which never copies buildings of previous epochs. Designing buildings ‘in the styles’, which is typical of the historical center development, does more harm to the cities than brand new architectural decisions of built-in structures. BAGINA, Elena. Is the Microdistrict Dead? Long Live the Quarter!. 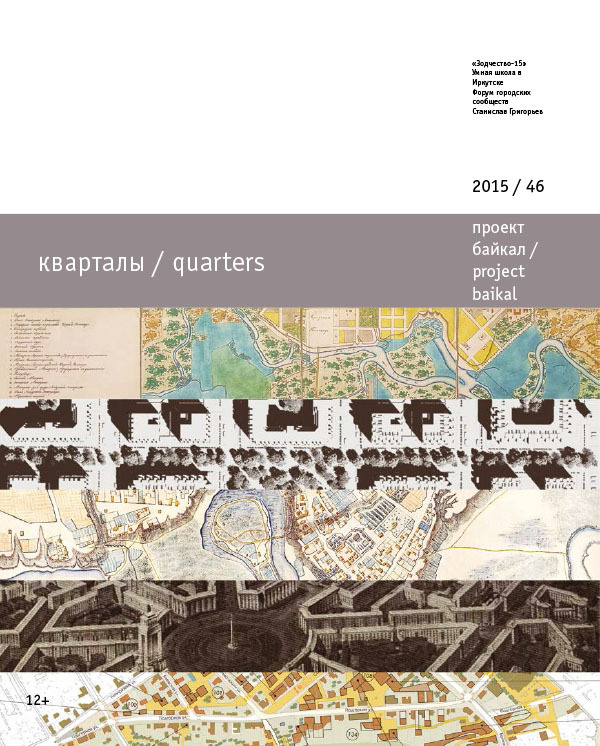 project baikal, Russian Federation, n. 46, p. 68-73, dec. 2015. ISSN 2309-3072. Available at: <http://projectbaikal.com/index.php/pb/article/view/948>. Date accessed: 23 apr. 2019. doi: https://doi.org/10.7480/projectbaikal.46.948.